Orchids are said to be a symbol of beauty, luxury, and love, so what better flowers to beautify your wedding day or special event? Our Mistine Dendrobium Orchids feature tall stalks laden with creamy white petals blushed with lavender at the edges, creating an elegant display whether gathered in bouquets or standing alone. Your Orchids are picked at just the right moment, custom-packaged, and air-shipped that same day to arrive in all their glory direct from the grower, to ensure your Orchids are the most exquisite and longest lasting you won’t find anywhere else. 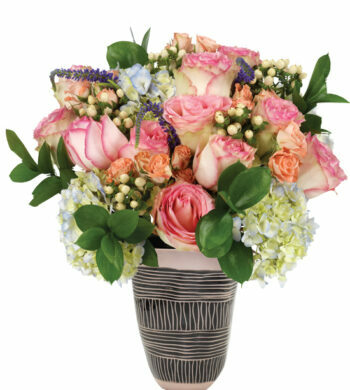 Special Meaning Anniversary Flowers: Each wedding anniversary has a designated flower. The Orchid is the traditional 14th Anniversary flower. Prepare your flower containers by cleaning them with mild soap and a drop of bleach or by using disinfecting wipes. This will clean any residues and kill bacteria that might shorten the life of the Orchids. Glass and plastic are the best materials to contain Orchids. We do not recommend placing orchids directly into containers that are metal, rusted, or made of clay or stone. These materials are porous and may contain harmful elements to your flowers. Fill containers with room temperature water. Cold water is not readily absorbed and hot water can shock the flower. Remove the water tubes and any blooms that will fall below the water line. Allowing blooms to decompose in water will allow harmful bacteria to shorten the life of the flowers. We recommend trimming the orchids underwater. Take about ½” from the bottom of each spray by making a diagonal cut. Immediately place the orchids in your prepared flower container. 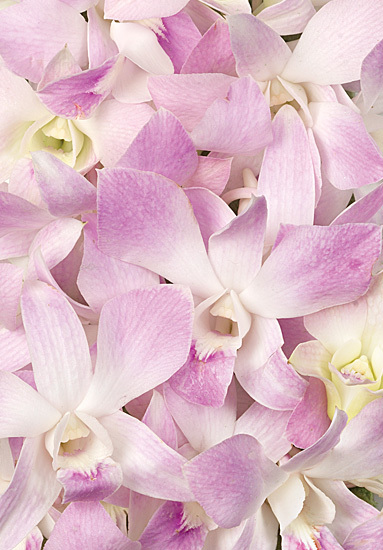 Orchids with longer stems can be cut into two or three parts for use in your arrangements. Always add fresh water daily. Frequent misting of orchids will lengthen their life. Change water at least every couple of days. Cloudy or discolored water can indicate decomposition and bacterial growth. The temperature in which you store your flowers is very important. Orchids do not like cooler temperatures or refrigeration which can compromise their vase life. The flowers last best in temperatures around 65 degrees. Keep flowers out of direct light in a place with good air circulation. Cigarette smoking is harmful to flowers. Do not store in the refrigerator. Trim away spent blossoms as the flowers age. Typical orchid buds may gradually open at the tips of each stem, although most do not.